I’m not really a horse rider, I’ve done a bit of pony trekking in my time, but nothing hugely significant. 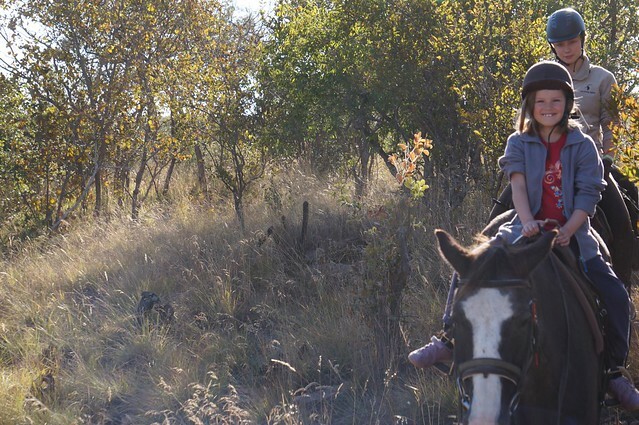 My daughter Milly, however, like many 7 year olds, fancies herself as something of a future equestrian so when we were offered the chance of trying out some horse riding on our recent trip to South Africa, we jumped at the chance. 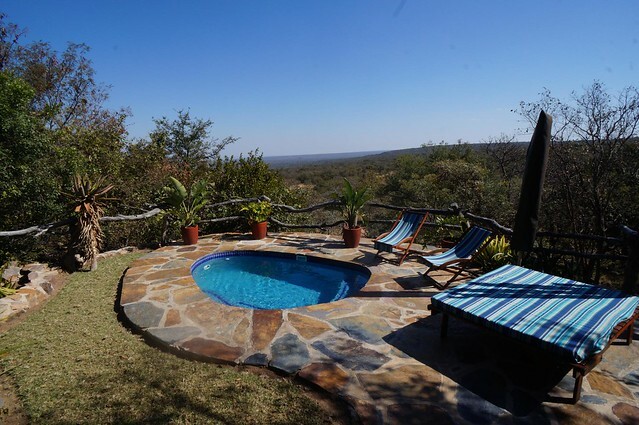 After a rather eventful car journey (think pot holes, untarred roads and I will leave the rest to your imagination) we arrived at Ant’s Hill in the Waterberg Mountains north of Johannesburg. We arrived just in time to go for a sun-downer, so our guide grabbed some blankets and whisked us off for a short game drive to a view point to watch the sun setting whilst sipping one of the best gin and tonics of my life. As I sat back and chatted to our guide, my daughter was absolutely transfixed watching a snake like procession of caterpillars on the pathway. 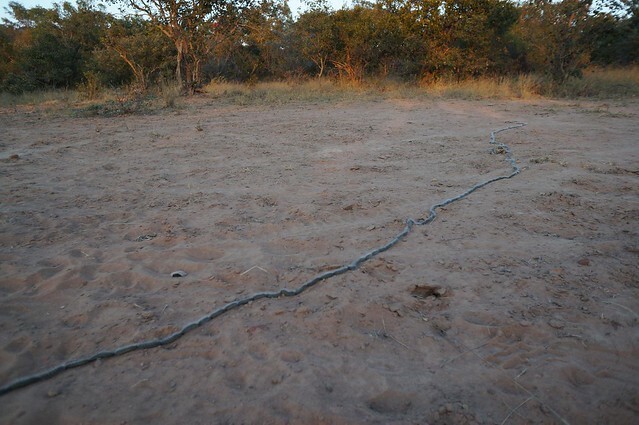 Because Ant’s Hill is primarily a riding destination, there are no predators on site, but an array of over 40 species of animals including giraffe, rhino, buffalo many species of antelope in addition, of course, to the many birds and insects. And this is actually a positive. When you’re in Big Five territory, it is easy to ignore the smaller things, but actually they are just as fascinating. Over dinner we discussed riding abilities around the table with the other guests. This was what I had been most nervous about. I had had a lesson at home before I left, when my instructor told me he had never seen anyone with quite as little talent for trotting as me (he added that if it was any comfort to me, my daughter was a natural. It wasn’t a help) I nervously admitted to my complete lack of horse riding talent and was immediately put at ease. The guests ranged from very experienced riders to complete beginners and we were divided up accordingly. Milly and I were teamed up with another family and straight after breakfast the next day, we were off. They have 90 Horses on the farm and we were all paired with horses to match us. The other members of the group went for a canter and we walked off at a more sedate pace. Within minutes we had spotted some giraffes grazing amongst the trees and all of the nerves dissipated. We rode on for about 2 hours, spotting rhino, antelope and yet more giraffe along the way. And I was hooked. Arriving back at our accommodation later on, we had lunch and then some time to lounge around the heated pool before retiring to read books from the terrace by our own private pool. 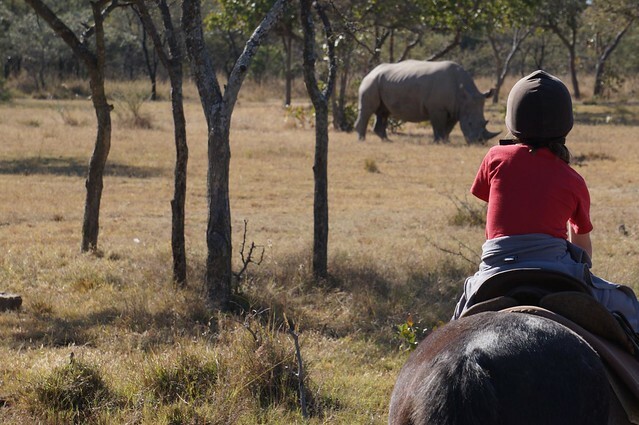 Even now several months later, Milly still remembers the horse riding as one of the highlights of her trip to South Africa. And surprisingly, so do I. After having done many game drives in a Land Rover, it was like a breath of fresh air being in the great outdoors, with no noises apart from the wildlife around us. Ours was only a very brief stay, but I am convinced that if I had been able to stay there for a few days, they might even have coaxed some sort of horsemanship out of me. As for Milly, a pony now features very high on her Christmas list! The Classic Garden Route with a twist, using our favourite one-off owner operated B&Bs and Self Catering. Book early as availability is limited. Classic Garden Route holiday including our trademark Cape Town experience, E Cape Safari and Coast.